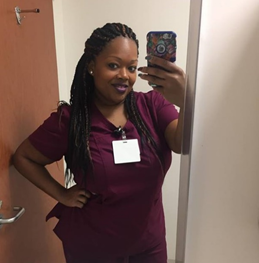 Davita Corbin, CNA '14, recently enrolled at Baltimore City Community College and is pursuing an associate's degree in nursing. Davita also recently won first place in a STEM Symposium for her work in creating a 3-D model of the skin. 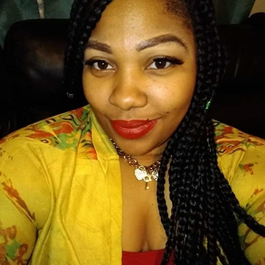 Davita says that she is committed to graduating from BCCC so that she can continue her education beyond Caroline Center, advance in her career, and be a strong role model for her four young children as they pursue their dreams for the future. Wendi Haynes, CNA '12, shares that “Caroline Center opened the door for me and I am forever grateful.” After graduating from Caroline Center, Wendi was accepted into the St. Agnes Hospital practicum. St. Agnes Hospital hired Wendi to serve full-time in the Intensive Care Unit; and, Wendi worked additional hours with private duty patients. After serving at St. Agnes Hospital, Wendi accepted a new position at Good Samaritan Hospital, where she received cross-training in order to also serve in the hospital's Claims Department. The added role Wendi took on at Good Samaritan Hospital helped her secure her current position as office manager at the Baltimore Counseling Center. Wendi has an additional certification in phlebotomy, and she is a licensed marriage and family therapist. Ta’Nae Heath, CPhT '13, has worked in numerous pharmacy settings. After graduating,Ta'Nae worked at Northern Pharmacy for two years, where she gained additional skills and retail pharmacy experience. From Northern Pharmacy, Ta'Nae moved on to John Hopkins Hospital's outpatient pharmacy, where within just six months she was promoted to pharmacy educator. Ta'Nae was recently promoted at Hopkins to the position of Meds-for-Home coordinator, where she works with a team of medical professionals to ensure that patients are going home after being discharged with proper medication. After passing a rigorous exam, Ta’Nae received her national certification (CPhT). She says that she is very grateful for her time at Caroline Center and for the education she received here. She adds that she now has a stable career and also has gained a "lifetime sisterhood" with some of the ladies who were in her PT classes.